“Play Appetizers” is dinner theater done different: instead a whole play, it’s just the good parts. 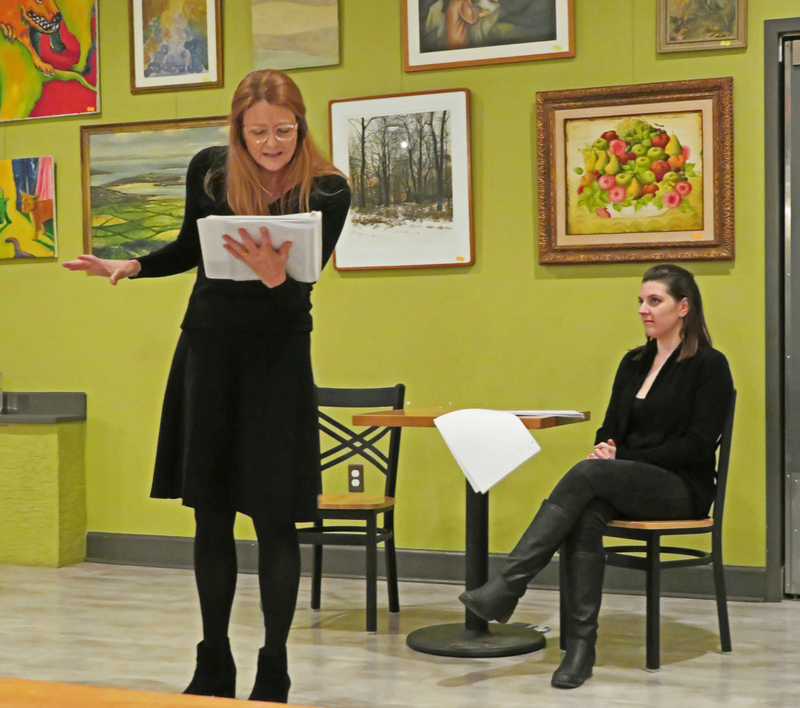 Even better, actors perform script-in-hand with minimal staging, so it’s a relaxed, intimate vibe. The perfect mood to settle in with yummy plates (and that bottle of wine you’ve been saving) for fun, modern scenes that are selected to amuse and engage in small bites. “Like a little theater hors d’oeuvres as opposed to a whole meal of a play,” Sonya Aronowitz explained, owner and executive producer of Juniper Productions. 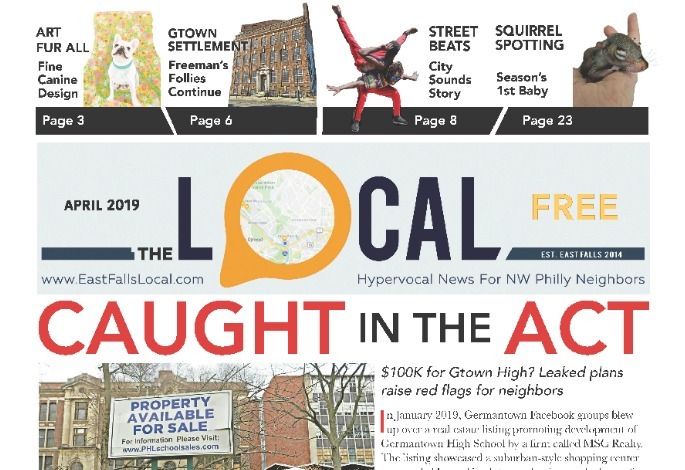 Sonya’s on a mission to spread the gospel of live theater, “I consider myself a theater evangelist.” There’s so much fantastic theater being created in Philadelphia right now, she wants as many people seeing it and talking about it as possible. Over the last two years, Sonya’s been perfecting new models for bringing theater to the people – you may recall last year’s pop-up theater upstairs at Vault & Vine, or caught one of Juniper’s popular “Cocktail Plays” at Philadelphia Distilling. 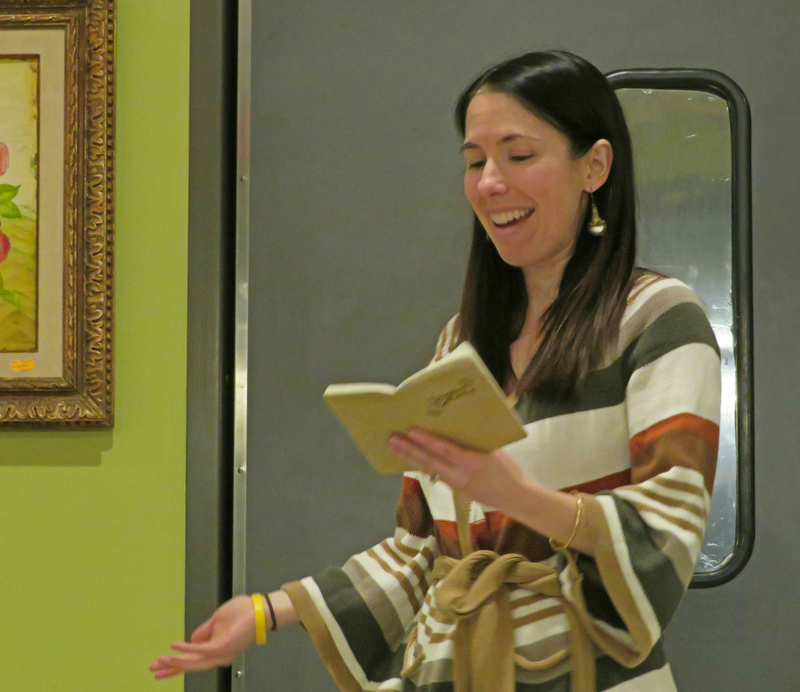 At Trolley Car Café, Sonya and manager Jasmine Fields together envisioned this unique evening of great food and live theater in the restaurant’s new spacious dining room. A bargain, too, I think. The night we went, Jasmine’s buffet was off the hook. I don’t want to turn this into a food review because I imagine the menu changes from month to month but I would be remiss if I didn’t mention her Nova Sliders – omg. So light but yet rich. So generous with the lox. Mmmm… They were part of a really nice appetizer spread Trolley Car put out as the room got settled and opened their BYOB’s. After the performances (which lasted about an hour), the audience, actors, director, etc. all hit the dinner buffet together. 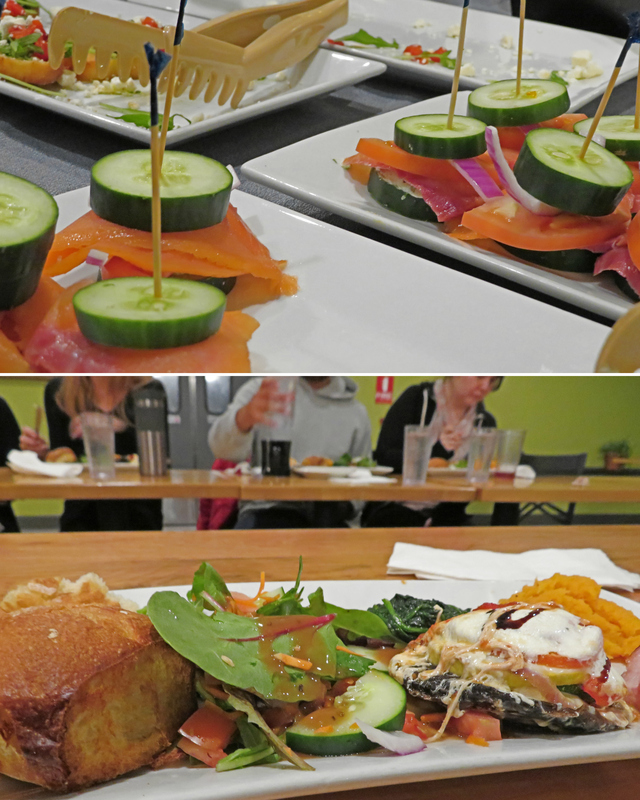 The food was delicious – there was a ton of it, and a nice variety of meat and veggies. Our servers were above-and-beyond attentive. When Jasmine passed warm cookies around at the end of the meal, one woman actually swooned (ok it was me). What a satisfying evening, on so many levels! We were well-fed, entertained and we all got that social bump Sonya was aiming for. With the room’s tables pushed together into one long one, it almost felt like a banquet, or a nice party – there was a celebratory air, for sure, to us all sitting down together. That buzz or glow or whatchamacallit that follows a good show. Sonya’s right, live theater is good for the soul. Come and get it. 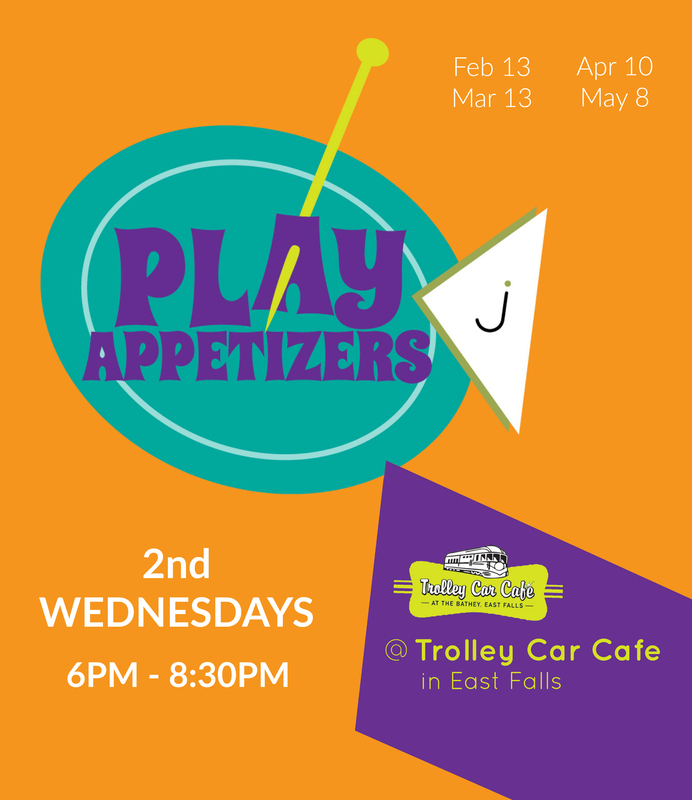 PLAY APPETIZERS: Every 2nd Wednesday at Trolley Car Café, enjoy “small bites” of live original theater followed by a buffet dinner to suit all tastes (including Vegetarian and Gluten-free options). 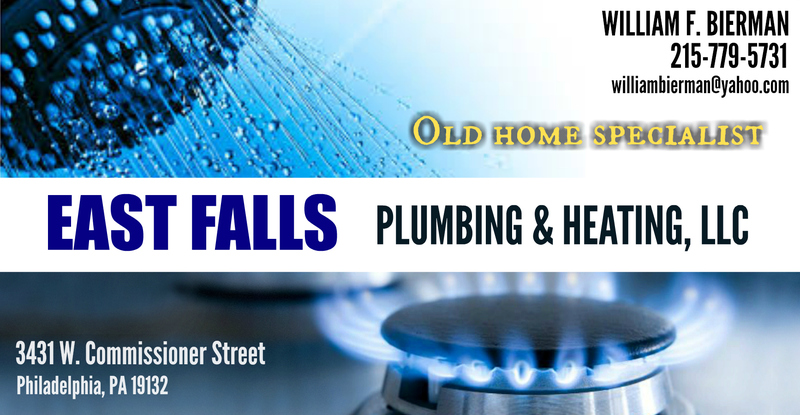 Doors open 6pm, Buffet dinner served 7:30pm. BYOB. Please tip your server! Tix on sale soon for February 13th, where the producers will be announcing a referral incentive program to help inspire more love for local, original theater. A sublime brunch & lunch specials during regular hours. BYOB. Also, family-style meals of their most popular menu items available for pick-up — order online or by phone a day ahead. Evening events in their new dining room with outdoor dog-friendly patio. I really love this spot I am never disappointed, and I’m not that hard to please when it comes to food but I’ve been let down plenty of time by these so called great spots. But the Trolley car has never let me down ever they keep the menu simple with great food and just as nice staff. I will never second guess spending my money here.